You’ve got the ring, the dress, the jewelled slippers and your prince. All that’s left to complete the fairy tale is the castle of your dreams. For Leicestershire-living couples looking for a truly regal setting for their Big Day, the Grade I listed Belvoir Castle, perched on nearly 15,000 acres of stunning parkland overlooking the Vale of Belvoir ticks all the boxes. Is it a real castle? It sure is. A bona fide, honest-to-goodness castle lived in by British royalty and high-ranking aristocracy since the Norman invasion. 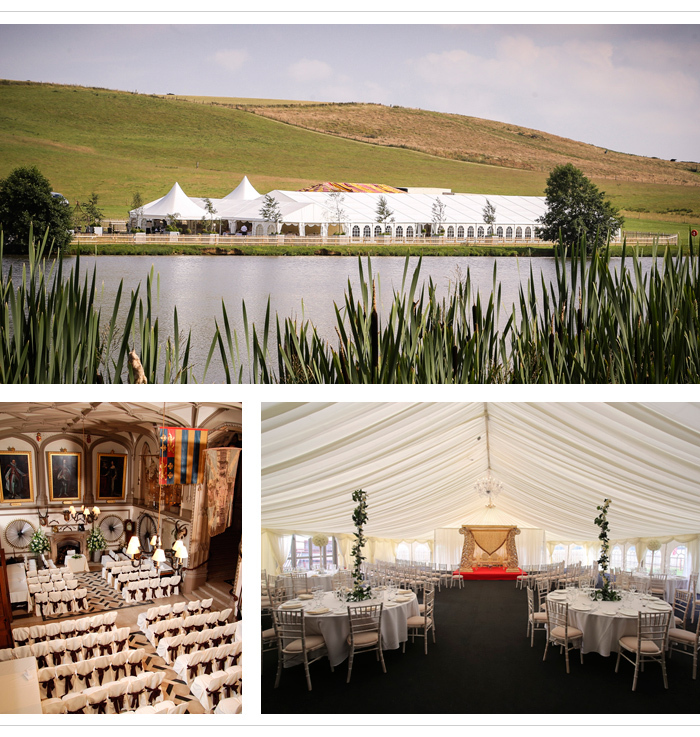 Today it’s open to the public and hosts weddings throughout the year either within the awe-inspiring Castle or in a marquee by the picturesque lake. With its magical hilltop setting, Belvoir Castle's commanding position offers glorious views in every direction. The Castle's turrets and gothic towers, sweeping staircases and grand open fires will all add to the romance of your Big Day. As the days get warmer, couples with a summer date in mind will be able to enjoy the colourful Rose Garden in front of the Castle, or sip champagne with guests in the splendour of the Castle's Picture Gallery, Ballroom or Guardroom. The Castle is licensed to hold civil wedding ceremonies in both the Guardroom (which seats 100) and spectacular Ballroom, which boasts floor-to-ceiling stained glass windows, ornate chandeliers and gothic archways and has space for 120 guests. Wedding breakfasts are served in the majestic State Dining Room, with seating for up to 120 guests. What are our food and drink options? Belvoir Castle will prepare a wedding feast fit for royalty. The venue works with a number of caterers who are passionate about using the highest quality ingredients and promoting local produce to create innovative, seasonal dishes tailored to your personal tastes. You can decide between a classically English spread or opt for the tastes of India with Indian caterers. Hot and cold canapés will sate guests before the reception dinner, while a medley of desserts will ensure the evening ends on a sweet note. The Castle also has a comprehensive wine list, from popular bottles to the more unusual, rare and sought after wines. There’s even a Castle’s Sommelier who can arrange and advise drinks for your Big Day. Is there an option to stay over? Yes there is. Unlike Cinderella, you won’t have to leave when the clock strikes midnight as accommodation in one of the Castle’s stunning rooms is an option for those hiring the venue for weddings or private events. Each of the single and double occupancy rooms boasts luxurious beds, dramatic views over the grounds and en-suite bathrooms, while some are decorated with Chinese lacquer, stunning artwork and antique furniture. The Tapestry Room was used in the film, The Young Victoria (2009) as the Queen’s bedroom at Buckingham Palace.